As its Open Access Week and yesterday was #ThesisThursday we thought we would write a blog post about how we support our PhD students in Research Data Management (RDM) at Imperial. Good RDM is important for all researchers, whatever stage they are at in their careers. In particular, we recognise that for PhD students, understanding the benefits of RDM and Open Science can help them with their studies and also set them up for success in their future careers. PhD students carrying out research at Imperial are required to deposit a copy of their final thesis in Spiral, the College’s institutional repository. They are also often required by funding bodies to produce a Data Management Plan for their project, to archive the research data underpinning their thesis, and to make this data publicly available where possible. To support them with these requirements we’ve developed a number of initiatives. Once a term the RDM team hosts a ‘Managing Your Data’ session for PhD students, organised through the Graduate School Professional Development Programme. This tailored course familiarises PhD students with the Imperial College Research Data Lifecycle and explains how they can plan, store, archive and publish their research data as well as pointing them to the support available within the College. The session combines presentations with hands on exercises and activities that engage the students and encourage them to think about their particular RDM needs. Running since 2016, this course has already been delivered to over 200 PhD students. In conjunction with this the RDM team also host a termly ‘How to write a Data Management Plan’ webinar which all Imperial PhD students can attend. This hour long tutorial introduces students to Data Management Plans, explains the key pieces of information contained within them, and how a plan may evolve over the course of a research project. This helps students to consider their own research data and the specific data management requirements of their projects in particular. Finally, the RDM team attempt to attend as many wider PhD library inductions as possible to introduce themselves and outline the RDM service to the students. These brief introductions are a key activity as they make visible the support available to PhD students, which otherwise may be overlooked. The offer of project specific and one-to-one support is emphasised, as are the benefits of good data management and open science. These drop in presentations are often delivered in conjunction with the Open Access team in order to promote RDM’s relevance to the wider Open Research movement. Rather than waving the stick of compliance, the aim of all of these initiatives is to highlight the benefits of RDM to individual PhD researchers and the wider academic community. They form part of a broader objective to foster a positive culture of responsible and open science within Imperial’s research community. If you are an Imperial PhD researcher and would like help with managing your research data then you can email us at rdm-enquiries@imperial.ac.uk, check out our Research Data Management Guide, or visit our webpages here. You may also find our quick guides on Data Management Plans, storing live data, data sharing, Data Access Statements, Symplectic and ORCiD iDs useful. 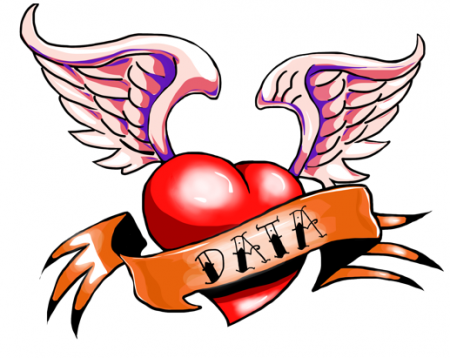 Research Data Management at Imperial: Love Your Data! The Research Data Management service, based in Central Library, has ‘hit the ground running’ at the beginning of 2017. The RDM team will present a series of brief lunch-time talks, the ‘Byte-Size Sessions’, with the first taking place on February 14th. Then, on 17th March, we will host the second ‘Data Circus’, a College-wide showcase of open data and software. As research data generates increasing interest, sharing and re-use, instilling good practices for research data management has become important at all stages of the research process. 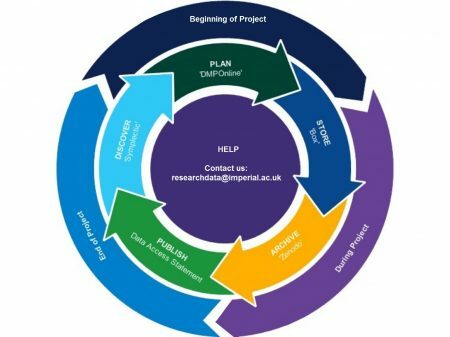 At Imperial, the Research Data Management Team have developed a workflow which follows the lifecycle of research data through all of its stages; from data planning and creation, through to long-term data archiving, data publication, and data sharing, as per the workflow (Fig. 1). 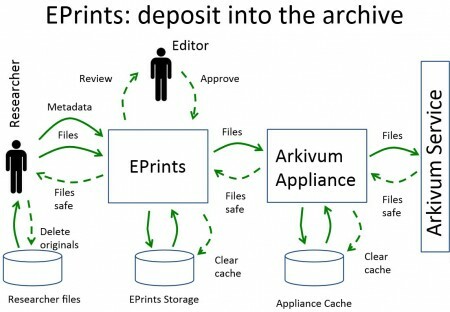 Fig.1: The Research Data Management workflow at Imperial College follows the ‘life cycle’ of research data from the initial planning stages of a research project, through to publication, data sharing and long-term archival storage of research results. 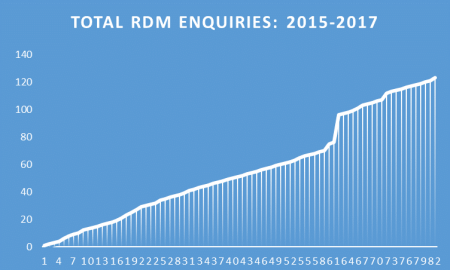 The Research Data Management service has seen a steady increase in the number of queries since its inception (Fig. 2). These queries cover numerous aspects of research data management and the workflow at Imperial, but the most frequently-asked questions are about writing Data Management plans and creating data access statements. Fig. 2: The RDM Team has seen a steady increase in the number of enquiries. These enquiries have been mediated through e-mail, telephone and face-to-face meetings. The Research Data Management Team have been actively involved in outreach, promoting best practice in research data management. We have achieved this through tutorials, webinars, lab group and departmental visits, face-to-face meetings with researchers and faculty, and events such as Research Data ‘Clinics’. It has been a successful first year for the Research Data Management Team at Imperial, and we are looking forward to the year ahead. “At a research-intensive university like Imperial it is hard to do anything that doesn’t involve data,” noted Imperial’s Provost when he launched the KPMG Data Observatory last year. The importance of data in research is now commonplace, from proclaiming the rise of a scientific Fourth Paradigm to celebrating “data scientist” as “the sexiest job of the 21st century” and research funders mandating research data management (RDM). Comparatively, software has received less attention – and yet without software there is no data, certainly no “big” data, and no data science either. In fact, there may well be no ‘modern’ research without it – in a 2014 survey 7 out of 10 researchers said it is now impossible to do research without software. Despite the importance of research software, academia could improve its support for academic coders. A university career is usually measured on publications, citations, grants and, perhaps, teaching. Focusing on keeping the tools of a research group up-to-date is not likely to give you either, and highly paid industry posts may be more appealing than short term academic contracts. When I was a student and part-time university staff I was one of the people who developed and maintained digital research infrastructure. At the time, senior colleagues advised us not to risk our careers by becoming ‘mere technicians’ instead of doing ‘real’ research. This attitude has since changed somewhat, but beyond research support roles the career paths for academic software developers are still murky and insecure. Thankfully, there are now initiatives dedicated to change this. 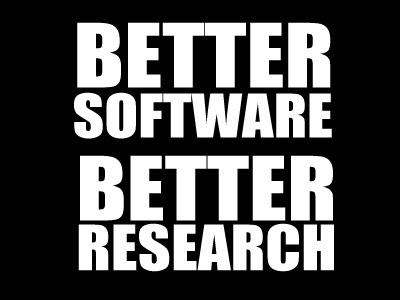 One of them is the UK’s Software Sustainability Institute (SSI), a fantastic organisation with the simple yet powerful slogan: “Better Software, Better Research”. In 2015 I became a fellow of the SSI, and through this blog post I report on some of my related activities. Organisations like the SSI help to create a professional identity for coding academics, or research software engineers, as they are now called. One of the recent achievements was the formation of a UK RSE community as a first step to professionalization. Imperial College now has its own RSE group, and I am pleased that I had a chance to contribute a little to its formation. The focus of my fellowship activity was on improving College support for academic software development, and I approached this through policy. In recent years, UK research funders released a set of policies governing academic research data management. This led to universities defining their own policies and making plans for the corresponding support infrastructure. At the heart of Imperial’s RDM policy is the requirement to preserve the data needed to validate academic publications – reproducibility is a core principle of research, after all. During the policy development I suggested that we should go a step beyond funder requirements to include software. Without code, after all, there is a risk that data cannot be understood. In some cases, the code is arguably more valuable than the data generated by it. This led to our policy requiring that where software is developed as part of a project “the particular version of the software used to generate or analyse the data” has to be archived alongside the data. One of our principles for policy development was that there would be no College requirement without us providing – directly or indirectly – solutions that enable academics to comply, and that we would seek to add value where possible. This brought up the question: how do you facilitate the archiving, and ideally wider sustainability, of research code? One answer, in general terms, is: by supporting best practice in software development, in particular the use of version control. Being able to track contributions to code makes it possible to give credit. Being able to distinguish different versions allows researchers to archive the right code. Running a distributed version control system (DVCS) makes it easy to open up the development and share code. In informal consultation academics pointed to the open source DVCS Git – not surprisingly perhaps, considering its global popularity. We knew from anecdotal evidence that a broad range of DVCS are used at the College. Some academics pay for commercial solutions, others use free web-based options and some groups are hosting their own. There is no central support and coordination, leading to inefficiencies and, to an extent, a lack of central College engagement with academic coders. To better understand current practice, I worked with colleagues in ICT to develop a survey aimed at DVCS users across the College. We launched the survey in November 2015 and circulated it via the RSE community, academic champions and email newsletters. 263 completed responses were received – for what some would call an “esoteric” topic this was a very good response, especially considering that we only approached a fraction of our 4,000 academics directly. The responses also showed that it was not just the usual suspects, such as computer scientists, who have an interest in DVCS (fewer than half of the responses came from the Faculty of Engineering). We were particularly interested in finding out whether it would be worthwhile for the College to invest in GitHub, the hosted Git environment. GitHub is free to use, as long as you don’t mind your code being publicly accessible; there is a charge for private code repositories. Some respondents expressed a preference for a College-hosted open source solution or other platforms such as Bitbucket, but many comments pointed to GitHub. Overall there was a consensus that DVCS should be, to quote a participant, “a vital part of e-infrastructure” for an institution like Imperial. DVCS like GitHub make it easy for academics to collaborate and share. However, academics value platforms that preserve the integrity of the code while giving them control over what to make publicly accessible and when. The survey pointed to GitHub Enterprise as the preferred platform, a view that was fully endorsed by academics on the College’s RDM steering group. Following the consultation, the College has made the decision to procure a site licence to GitHub Enterprise. GitHub Enterprise will become a core College service, managed by ICT. There would be no requirement to use GitHub for development, although its use will be encouraged. It was also agreed that we would not simply launch a new out-of-the-box service and hope that that would magically fix all issues. Instead some level of centrally coordinated support and training would be provided – ideally working with groups like the SSI and Software Carpentry. As a first step of the project to launch GitHub Enterprise, focus groups are being set up to gather academic requirements and guide the configuration and introduction of the new service. Arguably, this does not address concerns about career paths and reward systems for research software engineers. However, it demonstrates that a university like Imperial College values the code written by its staff, and is dedicated to support academic developing of research code. Partly as a result of the consultation, ICT, Library and the Research Office have now increased their engagement with the RSE community. Policy development may not sound like a very exciting task, but where it leads to more communication with and better support for academics I find it worthwhile and exciting enough. In recent years, universities have become more interested in the data researchers produce. This is partly driven by funder mandates, in the UK in particular the EPSRC Expectations, but also by a concern about research integrity as well as an increasing awareness of the value of research data. As a result, universities are building (or procuring) data repositories and catalogues – and these require metadata. The world is not short of metadata schemas, and yet there is no widely used standard for how research data should be catalogued (not to replace disciplinary schemes, but simply to enable universities to track their assets and others to discover potentially valuable resources). In my keynote at RDMF14 I questioned whether universities building their own data infrastructures is always the most efficient way to address research data challenges, and I suggested that as a minimum we should aim for an agreement on a simple metadata schema for research data. This would save universities the trouble of having to come up with their own metadata fields, and perhaps, more importantly, such a consensus should help us in discussions with platform vendors and other data repositories. Academics are already using a wide range of disciplinary resources as well as generic repositories, and if we want to be able to harvest, search and exchange data we need a core metadata schema. This would also reduce the burden on academics to have to re-enter metadata manually. One of the colleagues interested in this idea was Marta Teperek from Cambridge. After RDMF we exchanged the metadata fields currently used for research data at Imperial and Cambridge, with the idea to start a wider discussion. Today Marta and myself attended the kick-off meeting of Jisc’s Research Data Shared Service Pilot where we learned that Jisc are working on a schema for metadata – and there is considerable overlap, also with other initiatives. It seems the time is ripe for a wider discussion, and perhaps even for a consensus on a what could be the minimalist core of metadata fields or research data. Minimalist, to make it easy for researchers to engage; core, to allow institutions to extend it to meet their specific requirements. I would be interested to hear your thoughts – in person at IDCC or another event, or in the comments below. I will update this post with feedback from IDCC. Update, 23/03/2016: Having discussed this with colleagues at IDCC I thought it useful to clarify something. As I mentioned above there are already several metadata schemas out there, and as you will see from the fields I have proposed above this is not about introducing something new. The issue that we face is that systems either don’t include such fields or they are not mandatory. I would like to explore if we can find a consensus on what is considered the mandatory minimum for discovery and funder compliance (including reporting). For example, institutions need to know who funded an output, but a widely used schema designed for a different purpose may list funder as optional. So in that sense this is not about a new schema as such, but about agreeing what has to be implemented as mandatory in order for us to link systems, reduce duplication etc. That could result in a new schema, but doesn’t have to. Update, 26/03/2016: Back from IDCC; we had an interesting and wide-ranging discussion. Perhaps not surprisingly, we spent most of the time agreeing on definitions and understanding the use case. Most of the participants of the session were not from the UK and therefore not familiar with UK funder requirements.UK institutions are essentially looking for a pragmatic solution that helps us track datasets, report and meet funder requirements for discoverability. Introducing the concept of discoverability may not have been helpful for the international discussion as it made the proposal sound bigger than it is. We have no plans to replace or supersede disciplinary schemas (where these exist); the aim simply is to be able to point to disciplinary or other external repositories so that someone looking at data from an institutional system can learn that there is a dataset, what it may be about and where to locate it – and, ideally, further information such as detailed disciplinary metadata. From the discussions with this international audience I am mostly drawing two conclusions: 1) This may be, at least partly, a UK-specific issue. 2) When engaging in discussions with metadata experts there is no such thing as a pragmatic definition – speaking about funder compliance and internal track of datasets for reporting is the more useful question. For those interested in an example of a national consensus on metadata, look at Research Data Australia, provided by the Australian National Data Service. Monday 9 – Thursday 12 February 2015 saw data management and curation professionals and researchers descend on London for the 10th annual International Digital Curation Conference (IDCC), held at 30 Euston Square. Although IDCC is focussed on “digital curation”, in recent years it has become the main annual conference for the wider research data management community. This year’s conference theme was “Ten years back, ten years forward: achievements, lessons and the future for digital curation”. Next up was a panel session comparing international perspectives from the UK (Mark Thorley, NERC), Australia (Clare McLaughlin, Australian Embassy and Mission to the EU) and Finland (Riita Maijala, Department for HE and Science Policy, Finland). It was interesting to compare the situation in the UK, which is patchy at best, with Australia, which has had a lot of government funding in recent years to invest in research data infrastructure for institutions and the Australian National Data Service. This funding has resulted in excellent support for research data within institutions, fully integrated at a national level for discovery. The panel noted that we’re currently moving from a culture of compliance (with funder/publisher/institutional policies) to one of appreciating the value of sharing data. There was also some discussion about the role of libraries, with the suggestion that it might be time for academic librarians to go back to an earlier role which is more directly involved in the research process. After lunch was a session of parallel demos. 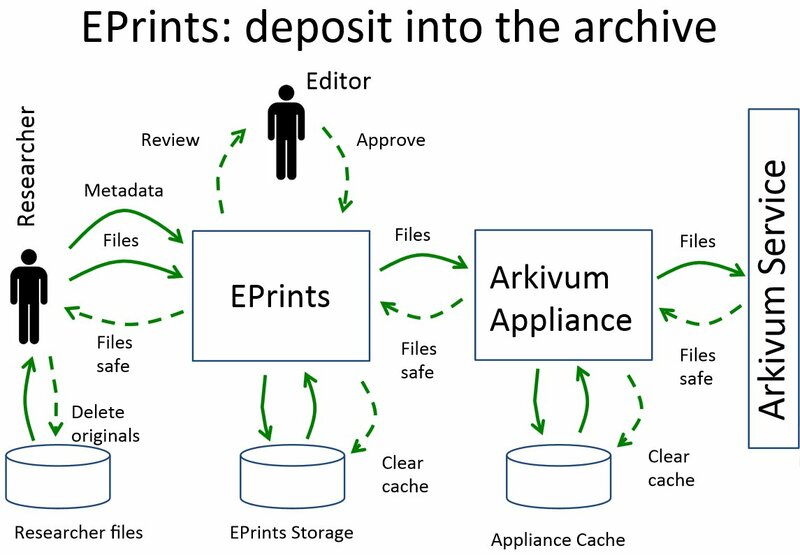 On the data archiving front, Arkivum’s Matthew Addis demonstrated their integration with ePrints (similar workflows for DSpace and others are in the works). There was also a demo of the Islandora framework which integrates the Drupal CMS, the Fedora Core digital repository and Solr for search and discovery: this lets you build a customised repository by putting together “solution packs” for different types of content (e.g. image data, audio, etc.). The final session of the day was another panel session on the subject of “Why is it taking so long?”, featuring our own Torsten Reimer alongside Laurence Horton (LSE), Constanze Curdt (University of Cologne), Amy Hodge (Stanford University), Tim DiLauro (Johns Hopkins University) and Geoffrey Bilder (CrossRef), moderated by Carly Strasser (DataCite). This produced a lively debate about whether the RDM culture change really is taking a long time, or whether we are in fact making good progress. It certainly isn’t a uniform picture: different disciplines are definitely moving at different speeds. A key problem is that at the moment a lot of the investment in RDM support and infrastructure is happening on a project basis, with very few institutions making a long-term commitment to fund this work. Related to this, research councils are expecting individual research projects to include their own RDM costs in budgets, and expecting this to add up to an infrastructure across a whole institution: this was likened to funding someone to build a bike shed and expecting a national electricity grid as a side effect! There was some hope expressed as well though. Although researchers are bad at producing metadata right now, for example, we can expect them to get better with practice. In addition, experience from CrossRef shows that it typically takes 3–4 years from delivering an infrastructure to the promised benefits starting to be delivered. In other words, “it’s a journey, not a destination”! Day 2 of the conference proper was opened by Melissa Terras, Director of UCL Centre for Digital Humanities, with a keynote entitled “The stuff we forget: Digital Humanities, digital data, and the academic cycle”. She described a number of recent digital humanities projects at UCL, highlighting some of the digital preservation problems along the way. The main common problem is that there is usually no budget line for preservation, so any associated costs (including staff time) reduce the resources available for the project itself. In additional, the large reference datasets produced by these projects are often in excess of 1TB. This is difficult to share, and made more so by the fact that subsets of the dataset are not useful — users generally want the whole thing. The bulk of day 2, as is traditional at IDCC, was made up of parallel sessions of research and practice papers. There were a lot of these, and all of the presentations are available on the conference website, but here are a few highlights. Some were still a long way from implementation, such as Lukasz Bolikowzki’s (University of Warsaw) “System for distributed minting and management of persistent identifiers”, based on Bitcoin-like ideas and doing away with the need for a single ultimate authority (like DataCite) for identifiers. In the same session, Bertram Ludäscher (University of Illinois Urbana-Champaign) described YesWorkflow, a tool to allow researchers to markup their analysis scripts in such a way that the workflow can be extracted and presented graphically (e.g. for publication or documentation). Cheryl Thompson (University of Illinois Urbana-Champaign) discussed their project to give MLIS students internships in data science. The full legal deposit web archive, which includes everything identified as a “UK” website (including `.uk’ domain names and known British organisations), and is only accessible through the reading room of the British Library and a small number of other access points. Software Carpentry is a community-developed course to improve the software engineering skills and practices of self-taught programmers in the research community, with the aim of improving the quality of research software and hence the reliability and reproducibility of the results. Data Carpentry is an extension of this idea to teaching skills of reproducible data analysis. One of the main aims of a Data Carpentry course is to move researchers away from using ad hoc analysis in Excel and towards using programmable tools such as R and Python to to create documented, reproducible workflows. Excel is a powerful tool, but the danger when using it is that all manipulations are performed in-place and the result is often saved over the original spreadsheet. This both destroys (potentially) the raw data without providing any documentation of what was done to arrive at the processed version. Instead, using a scripting language to perform analysis enables the analysis to be done without touching the original data file while producing a repeatable transcript of the workflow. In addition, using freely available open-source tools means that the analysis can be repeated without a need for potentially expensive licenses for commercial software. We started out with a very brief idea of what a Data Carpentry workshop attendee might experience. The course would usually be run over two days, and start with some advanced techniques for doing data analysis in Excel, but in the interest of time we went straight into using the R statistical programming language. We went through the process of setting up the R environment, before moving on to accessing a dataset (based on US census data) that enables the probability of a given name being male or female to be estimated. The next section of the workshop involved a discussion of how the training was delivered, during which we came up with a list of potential improvements to the content. During the final part, we had an introduction to github and the git version control system (which are used by Software/Data Carpentry to manage community development of the learning materials), and then split up into teams to attempt to address some of our suggested improvements by editing and adding content. I found this last part particularly helpful, as I (in common with several of the other participants) have often wanted to contribute to projects like this but have worried about whether my contribution would be useful. It was therefore very useful to have the opportunity to do so in a controlled environment with guidance from someone intimately involved with the project. In summary, Data Carpentry and Software Carpentry both appear to be valuable resources, especially given that there is an existing network of volunteers available to deliver the training and the only cost then is the travel and subsistence expenses of the trainers. I would be very interested in working to introduce this here at Imperial. Research Data Spring is a part of Jisc’s Research at Risk “co-design” programme, and will fund a series of innovative research data management projects led by groups based in research institutions. This funding programme is following a new pattern for Jisc, with three progressive phases. A set of projects will be selected to receive between £5,000 and £20,000 for phase 1, which will last 4 months. After this, a subset of the projects will be chosen to receive a further £5,000 – £40,000 in phase 2, which lasts 5 months. Finally, a subset of the phase 2 projects will receive an additional £5,000 – £60,000 for phase 3, lasting 6 months. You can look at a full list of ideas on the Research At Risk Ideascale site: these will be pitched to a “Dragon’s Den”-style panel at the workshop in Birmingham on 26/27 February. The Research Data Spring workshop on Thursday 12 February was an opportunity to meet some of the idea owners and for them to give “elevator pitch” presentations to all present. There was then plenty of time for the idea owners and other interested people to mingle, discuss, give feedback and collaborate to further develop the ideas before the Birmingham workshop. A system to make it easier for researchers who currently use Microsoft Access or Excel to move their data to a robust relational database management system and share that data with collaborators. Packaging up computational experiments (such as weather simulations) into easily verifiable bundles with easy access to the software code, the input parameters and the results. Looking at how data can fit into research library collection policies for long-term preservation of and access to key institutional assets. Looking at how the rules that apply to sensitive data (both general, e.g. Data Protection Act, and specific, e.g. consent forms) can be codified and applied consistently to facilitate inter-institutional collaborations. Development of a work-in-progress notebook that allows individuals and small research groups to capture and create sharable linked data. Codifying the requirements for data management (how long must it be held for, how large will it get, etc.) so that managing it can be at least partly automated. Improving the interoperability of electronic lab notebooks/digital research notebooks.